It’s almost Easter! Do you know what that means? Cadbury Eggs! Since I can remember I have anxiously awaited Easter just so I can get myself several boxes of Cadbury creme eggs, eat them before Easter, and get a few more boxes to ration after Easter. I don’t know what it is about them but the chocolate and gooey goodness make them my all time favorite candy. 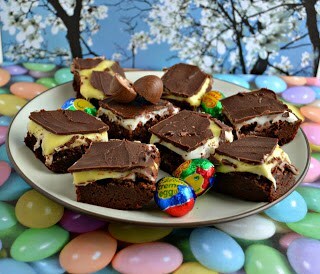 So when I saw a photo of a creme egg brownie I almost swooned. 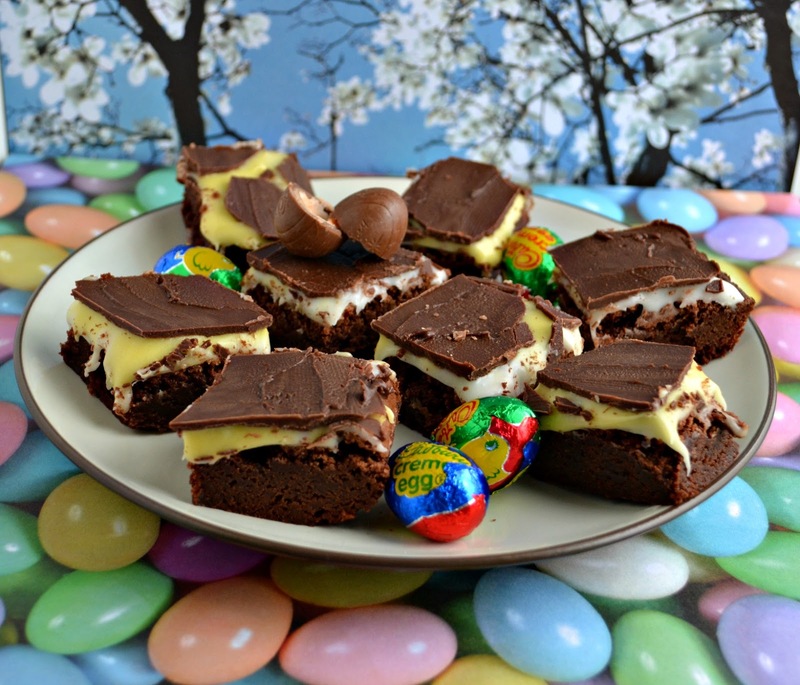 Rich, fudgy brownies with a layer of creme egg goodness topped off with chocolate? Yes it is as good as it sounds. I made these little jewels and could barely wait for them to set in the refrigerator. 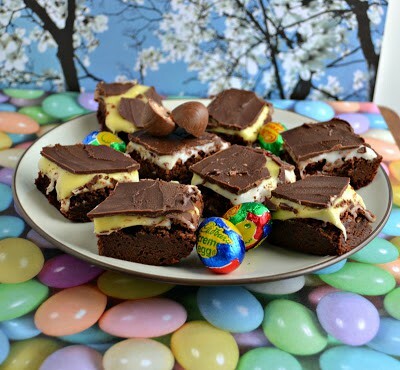 It’s like a Cadbury Creme Egg with fudge. 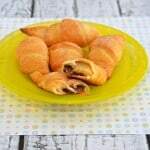 These were amazing! I took half a pan into work and they were gone in minutes. Thankfully I froze the other half pan so I can take them to my parents on Easter. I’m also glad I froze them otherwise my husband and I may have eaten the entire pan…they are that good! 1. Preheat the oven to 350 degrees. Line a 9 x 13 baking dish with foil. 2. In a large bowl combine butter, sugars, and vanilla. Beat well. Add the eggs and egg whites one at a time stirring well after each egg. 3. Add in the cocoa and mix well. Stir in flour, baking powder, and salt. Pour batter into the prepared pan. 4. Bake for 35 minutes. Remove from oven and cool. 5. In a bowl beat together the corn syrup, butter, vanilla, and salt. Add in the powdered sugar, half a cup at a time, until creamy. 6. Pour 3/4 of the cream on top of the cooled brownies. Spread into a thin layer. Add 3 drops of yellow food coloring to the remaining cream and mix well. 7. 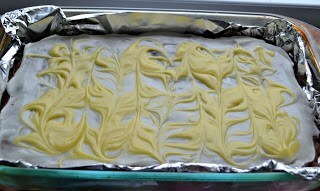 Drop spoonfuls of the yellow cream on top of the white layer and gently swirl with a knife. Refrigerate for 1 hour. 8. In a double boiler melt the chocolate and butter together over low heat. Stir until smooth. Pour over top of cream filling, spreading into a thin later. 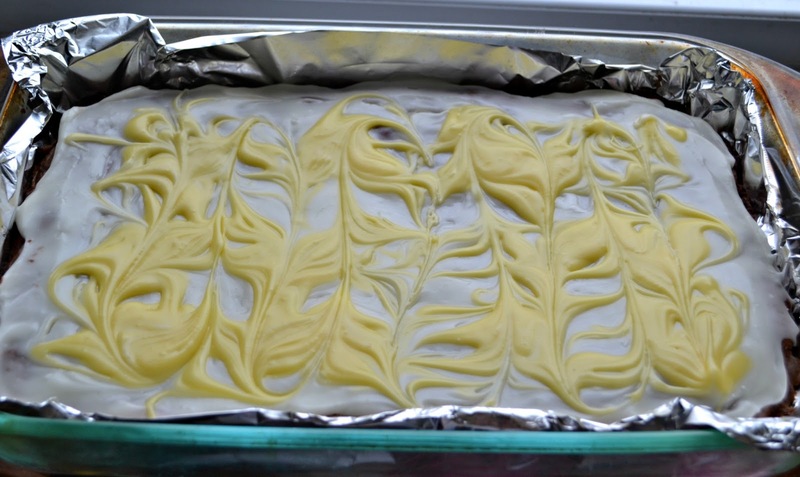 Refrigerate for at least 30 minutes. 9. Remove brownies from the pan using the foil and cut into small squares. 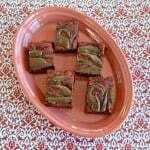 Keep brownies refrigerated until ready to serve. 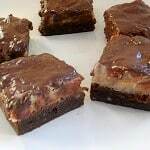 To freeze: Cut the brownies into squares. Place in a freeze safe container. Cover with foil and then the lid to the container. Keep frozen for up to 2 months. When ready to eat let the brownies thaw for 2 hours at room temperature. Wow! 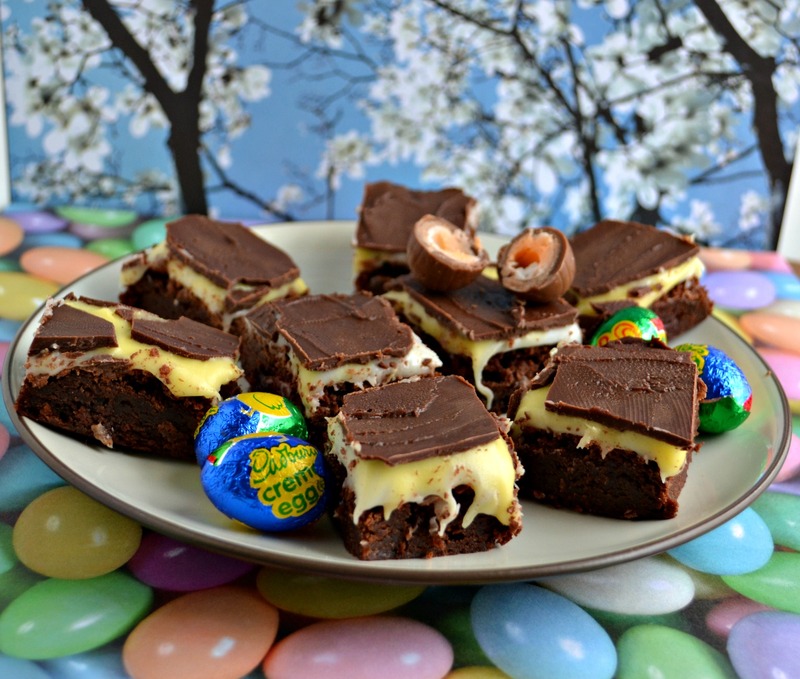 Do these really taste like Cadbury Creme Eggs? 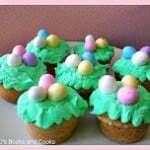 I have to try them for Easter.